When Philip is not flying or working as a Senior Software Engineer at Microsoft, he is engaged in many community causes apart from Puget Sound Flyers, volunteering with United Way of King County as part of the nationwide Volunteer Income Tax Assistance program, as a volunteer ride leader with Cascade Bicycle Club and as a volunteer Mission assistant pilot with Angel Flight West. He holds a Private Pilot Airplane Single Engine Land Certificate and Instrument Rating. Christopher has been serving as the secretary of Puget Sound Flyers for many years now and is a passionate pilot himself. Trevor is a Private Pilot with Airplane Single Engine Land certification and is currently working on finishing his instrument rating. 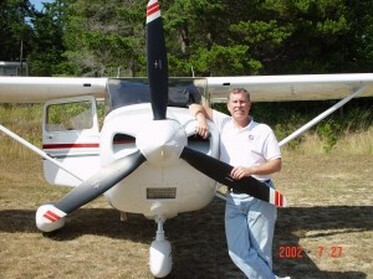 As a certified aircraft mechanic, Richard is a trusted source for the Flight Club of Puget Sound Flyers to ensure our fleet is maintained well and safely.